one virtual workshop a month, covering an aspect of realist painting. It might be a single stream or delivered over a few sessions. one or more live webinars, just for Threads members, on an aspect of marketing yourself online. A private Facebook group where you can get feedback and support and make connections. Threads is $19 a month. I’ve kept it very affordable because I want to spread this opportunity to as many people as I can, and because the bigger Threads gets, the more useful it will be for everyone. You can cancel at any time and I’m happy to refund you if you find it’s not for you. 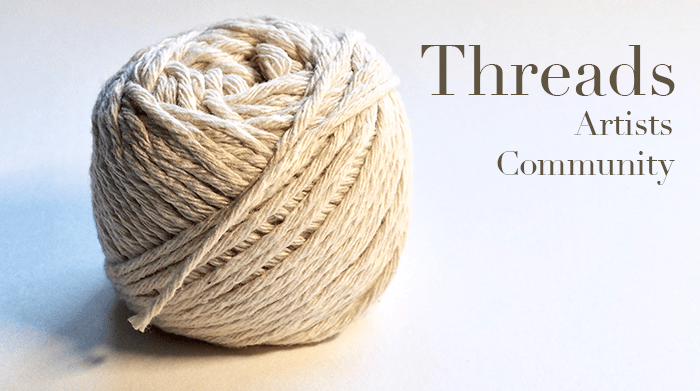 I’ve called this new program Threads because it represents the connections we make with each other, and the connections we need to make with people online in order to build something meaningful for ourselves and others. But it also represents the threads that run through our individual lives. What drives us to draw and paint. And the importance of holding on to that thread and following it. If you’d like to begin to build your online presence so that you can start to make some income from your work or teaching (or both) online then Threads is for you. I’ll be covering in depth everything you need to know to be able to make meaningful connections with people online, build an audience, and then build an online business. how to build an email list from the ground up. 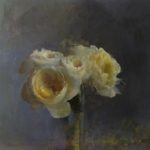 Monthly online panting workshops will also help you to develop your skills and improve your work. and then there’s the community; Monthly live video calls with myself and other Threadies where you can get feedback on your work or your online presence. And a private Facebook group just for you and your fellow Threads members, sharing and encouraging each other. The way artists earn a living is changing. We can now reach thousands of people online and live a more meaningful life doing the work that we love. Threads will help you do that. “Your Master Colouring Course is Unique and Fundamentally important for anyone who wishes to gain an understanding of colour. The structure, content, and step-by-step process of the course, informs and demonstrates to students what needs to be learnt and understood about colour in a practical hands-on way.